Sometimes the simplest thing can jostle one's memory...it is almost like being in a time warp as we are led back. Food does that to me more often than anything else, probably because it combines flavors and odors...a double ticket to memory lane. Although desserts were not expected after most of our meals when I was growing up, Junket Danish Dessert could be called on in a pinch because it was easy to make, very inexpensive and enticed us with its unusual texture and flavor. It used to be found in every grocery store near our home...over time, though...it vanished! For years I was unable to find it until recently when I ran across a few boxes of it in a tiny, rural bulk food store and bought them all. For those not familiar with Junket, it comes in two flavors...strawberry and raspberry. When my mother made Junket, she always following the directions on the box for tangy Danish pudding. To describe this product as a pudding is misleading as it does not contain milk or milk products. It is very brightly colored, no matter which flavor is selected, and is fairly transparent. The texture is dense, but it has a tangy coldness to the tongue. It has to be tasted to be appreciated. My family also loves the pie recipe on the back of the box...Ruby Whipped Cream Cheese Pie. It is a cross between a strawberry pie and cheesecake...wonderful! Prepare pie crust following directions or purchase a pre-made graham crumb crust. Stir contents of Junket in cold water in a medium saucepan. Bring to a full boil. Boil 1 minute, stirring constantly. Remove from heat and cool slightly. In a small mixing bowl, beat softened cream cheese with sugar until well blended. Gently fold in 1 C whipped cream or topping and 2 T Junket. 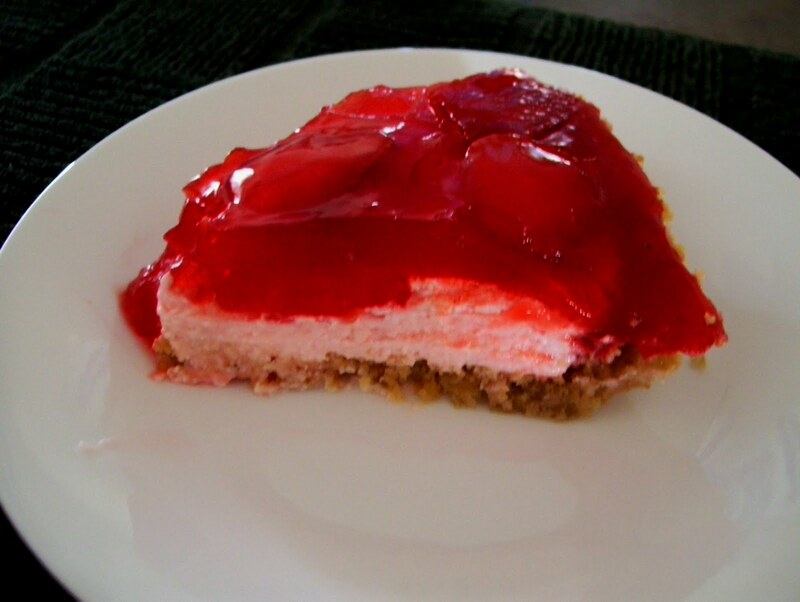 Spread cream cheese mixture in baked pie crust. 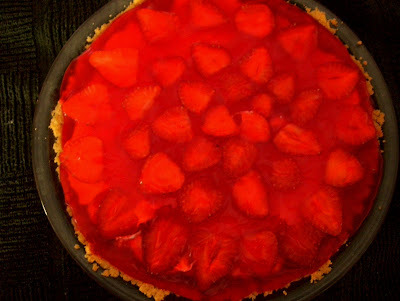 Place sliced strawberries on top of the cheese layer. Spoon Danish Dessert over fruit and cheese. Chill 3-4 hours until firm. Note: there are directions for making homemade Danish Pudding on the internet. I made one of them, and it was awful...my suggestion is to just send for the Junket. Kenda wrote: Yum! I want a slice right now! Thanks. I'm going to make this for a potluck. Will be following your food blog as there are many nice recipes. It's very tasty, I would love to eat it. Hi Diane! this is a very cool recipe, pretty well explained. Thanks for sharing. Love this recipe. thanks for sharing it with us.